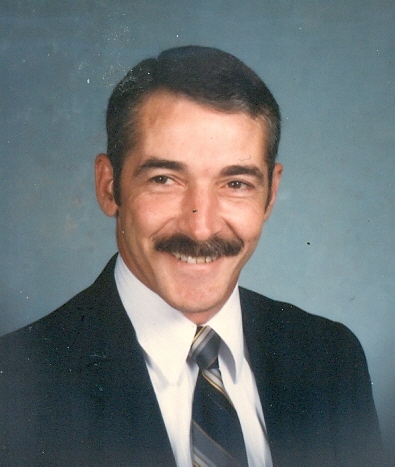 Jimmy Richard Edwards, 77, of Gladstone, passed away April 26, 2018, at NorthCare Hospice House with family at his side. Visitation will begin at 5:00 pm, followed by a service celebrating Jim's life at 6:00 pm, on Monday, April 30, at Park Lawn Northland Chapel, I-35 at State Route 291, Liberty. In lieu of flowers, memorials are suggested to First Tee of Greater KC or to NorthCare Hospice House. Jim was born February 13, 1941, in Joplin, MO, the fifth of six children of Elbert and Irene (Bond) Edwards. Along with his parents, Jim was preceded in death by sisters, Verda Gough and Donna Rudolph, and brother, Jerry Edwards. Jim graduated from Joplin High School and received his Associate's degree from Longview Community College. He worked as an Automation Coordinator for the Federal Reserve Bank of KC for 31 years, retiring in 2001. Survivors include his wife of 35 years, Carolyn (Creamer) Edwards; children, Kelly Chapin (Bryan), Amy Leavitt (Jeff), Bryan Beatty (Courtney) and Michael Beatty; six grandchildren, two great grandchildren; brothers, Charles and Michael Edwards; as well many nieces and nephews. Was a pleasure knowing Jimmy. Played at golf with him for a few years and always enjoyed his company. My condolences to Carolyn and the family. I am so sad to see this. I worked with Jim for many years at the Fed and he was a joy! Not only did I learn a lot from him, he brought a smile to everyone everyday. My condolences to Carolyn and all the family. Carolyn, sorry for your loss. May God bless your family. Jim was a very special guy. He made your day a bit brighter every time you came in contact with him. He will be missed. We are deeply saddened by the passing of Jim (our bad Jim). Fond memories are what we have to remember him in our hearts and minds. He will be truly missed and will include him in our daily prayers. Carolyn, you and your family are in our prayers. Love from the Vega's. Bad Jim, will always remember fun times at the Smith household and our trips to Gulf Shores. You never cared how bad I hit a golf ball. Rest in eternal peace my friend. Jim's Shell Knob fish and golf group will miss him dearly. Jim was our fire builder, story teller, golf pro. When Jim talked everybody listened.....and then laughed! Heaven's gain is our loss. Dear Carolyn and Family, I am so, so sad to hear of Jim's passing. He was always such a bright smiling light to all those around him. When I worked at the bank, even on the yuckiest of days he could make me happy with a corny joke or his ornery grin. We've lost a wonderful man. Take care and know that I'm thinking of you and Jim. Carolyn, Jim will be Missed. Our thoughts and prayers are with you and your family. So sorry for your loss Carolyn. Years ago Jim gave me some advice about my golf game that I still abide by to this day. He advised me to stop playing golf for two weeks, and then quit. I've always loved Jim for that advice. Carolyn, so sorry for your loss. Fond memories of Jim at the Fed. So sorry to hear of Jim’s passing. We attended Joplin High School together. Had some fun times and have great memories...Blessings to all his family and friends. He will always be remembered ! I went to high school with Jim in Joplin MO. Prayers for Carolyn and family. I wish I had stayed in more contact with Jim over the years. Blessings. Jim was one of those good souls you love to meet and be around! He made learning about technology at the FRB of KC so much easier and was a happy face to all who knew & worked with him. My sympathies to you, Carolyn, and family. The world has lost a wonderful person.